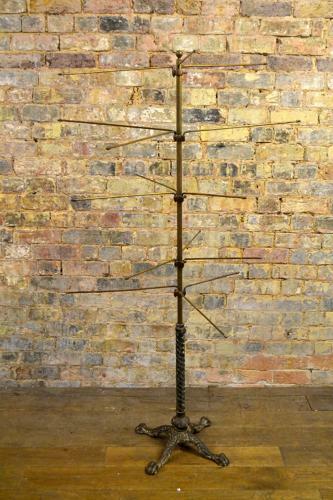 This brass scarf display stand is in original condition, with five levelled sections (3 brass arms per level) for display. This is estimated to be from 1910, and has the original clawed foot base - enlarge all images to see this detail. We have many similar items instore or on our website, so please feel free to contact us directly or visit our store for more details.